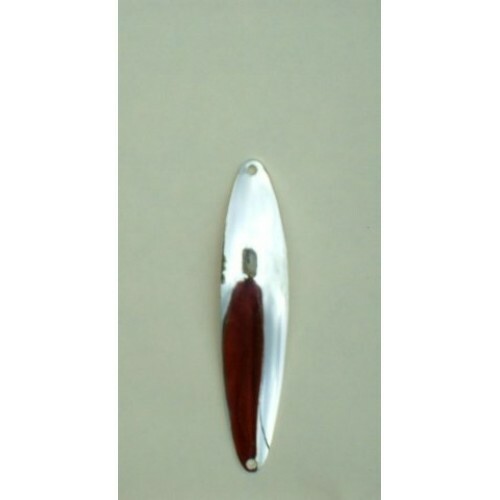 A top producer for professional anglers this 3/4 ounce, 7/8 inch wide by 4 inch long fishing spoon with genuine silver plate finish reflects light better for more visibility. This fishing lure is heavy weight and very durable. The design gives a tight vibrating action calling fish from long distances. It trolls well at slow or fast speeds. The 3/4-ounce weight will cast a long way. Anglers use them for trolling, casting or jigging. Razor sharp hooks are included to help you catch limits in salt water and fresh water.